Efcon® Industrial Samplers are purpose build units for industrial end-users. The simple & robust Industrial wastewater sampler has separate spaces for sample storage, electronics and cool-unit section with XXL containers. Dowload the Efcon® Industrial Wastewater Sampler Datasheet (PDF) to discuss it with your colleagues via e-mail or a printed version. 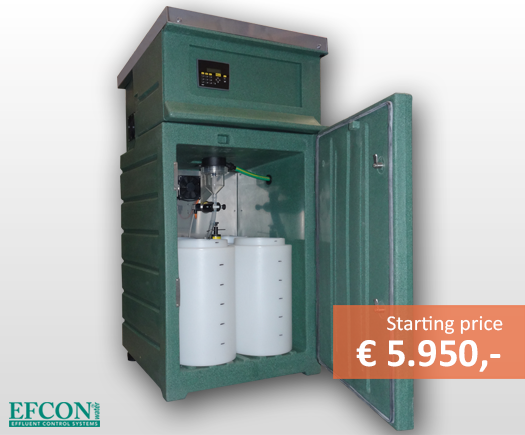 A standard Efcon® Industrial wastewater sampler (with sampler, cooler, heater and PLC) starts at € 5.950,-. Obviously there is a range of options possible. 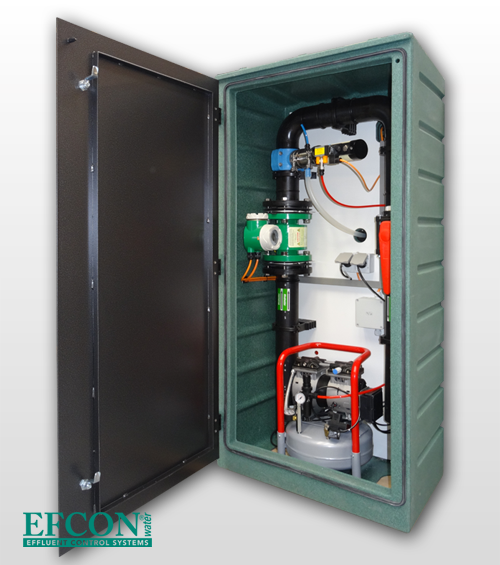 An Efcon® Industrial wastewater sampler can be supplemented with special electronics or hardware cabinets and equipment such as built-in flowmeters, compressors, analytical instruments and more. Cost effective sampling solutions for industrial applications.